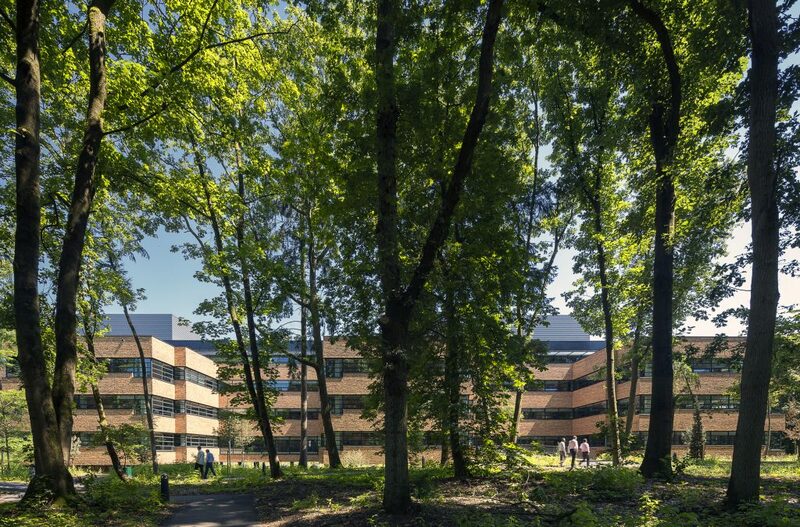 The Insurance company Achmea´s campus is situated on the edge of Apeldoorn, at the foot of Holland’s biggest nature reserve: the Veluwe. 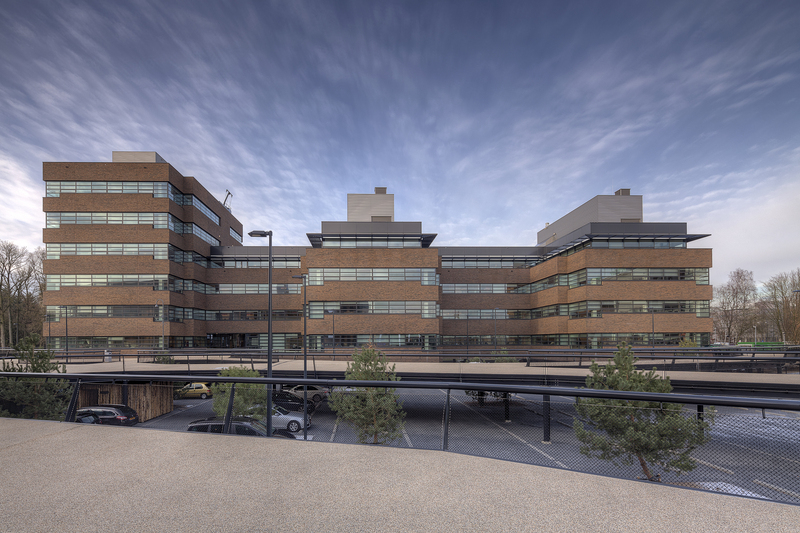 ADP architects designed additional buildings for the campus and Bureau B+B created a new design for the site. 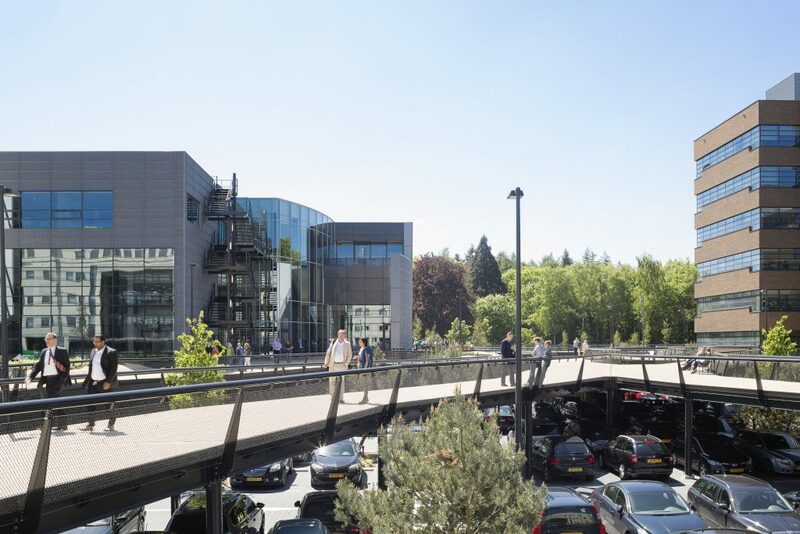 The landscape of the Veluwe is characterized by dunes, birch trees, junipers, heather and pines that flow seamlessly on to the campus. 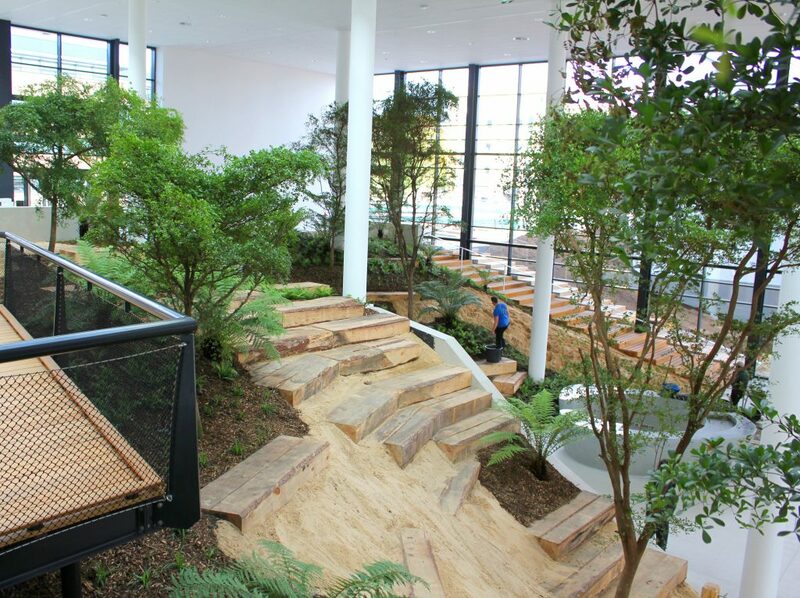 The new design enhances the feeling of working in the middle of nature. You can step right into the landscape from your workplace, to have lunch, take a walk, or have a meeting. The site is accentuated with stylized areas referring to the Veluwe: a round garden with brightly flowering heather, an irregular shaped pond and two pavilions, hidden away in the woods. 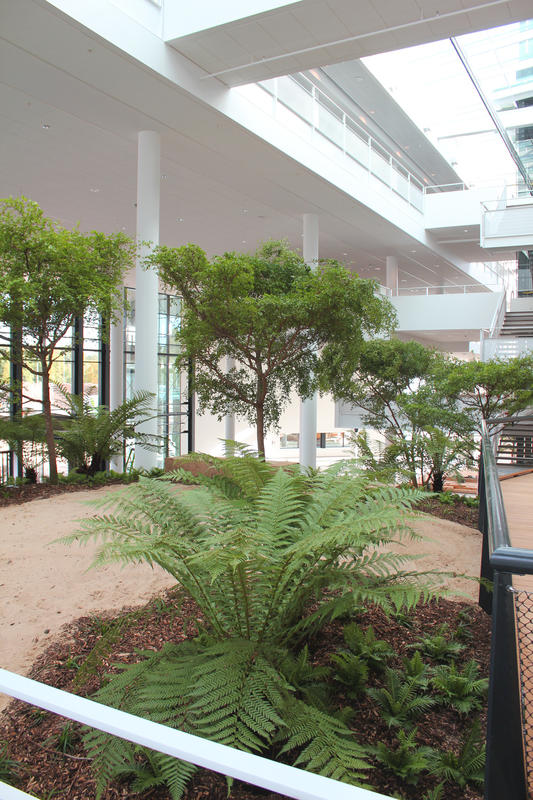 The paths wind through the landscape, where in the middle of the campus, the path rises to a deck, to cover the parking lot. Trees grow between the cars, reaching above the deck with their tops. 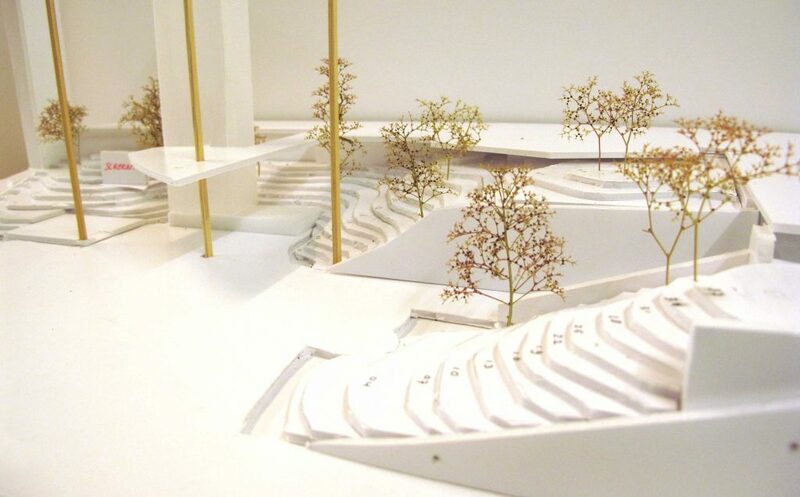 The campus is designed as a coherent unit: a landscape rather than an office garden. The Veluwe continues through the campus, but also flows into the conference building. 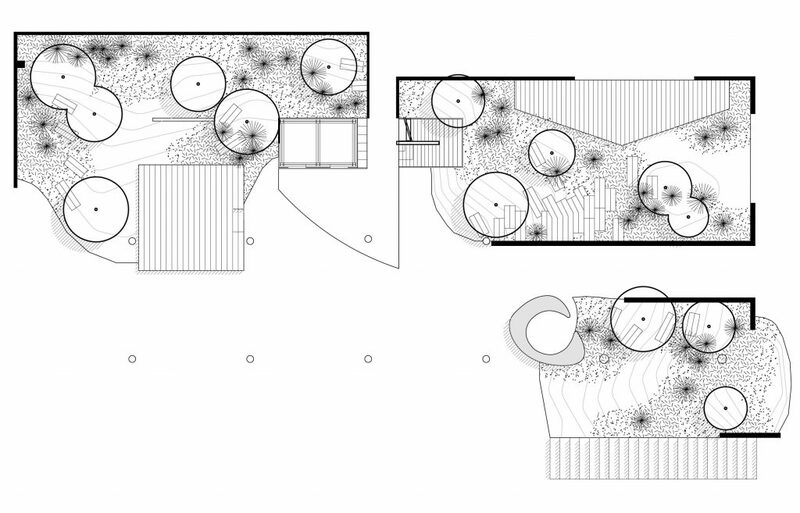 An inside garden covering more than 750 square meters fills the atrium with an undulating landscape, reaching from the ground floor to the second floor. It is a natural biotope, with grassy hills and valleys covered with various kinds of ferns. The reception area and the restaurant are grouped around the garden. Visitors wait here for their appointment, employees meet up at the coffee machines, and the annual Sinterklaas is celebrated here. 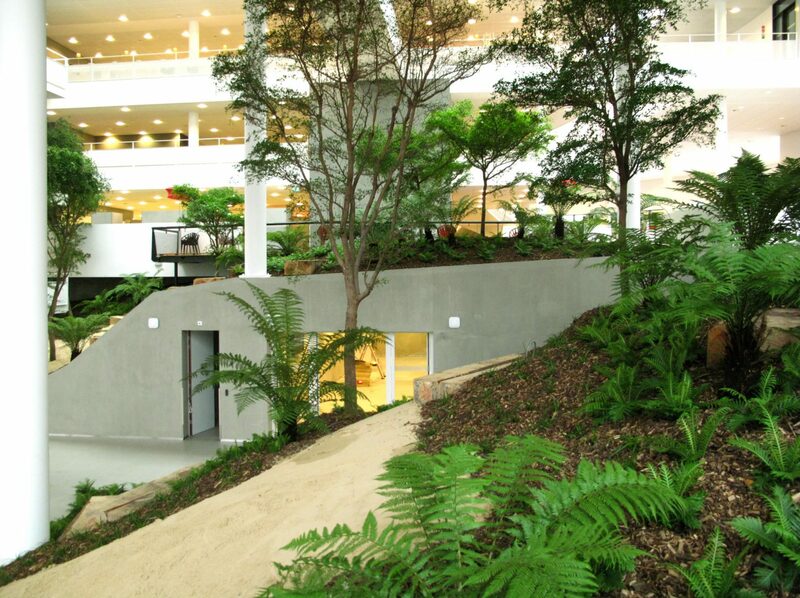 It is a welcoming lobby, where the surrounding landscape enters the work floor. You can step right into the landscape from your workplace, to have lunch, take a walk, or have a meeting. In the middle of the campus, the path rises to a deck, that covers the parking lot. Trees grow between the cars, reaching above the deck with their tops. 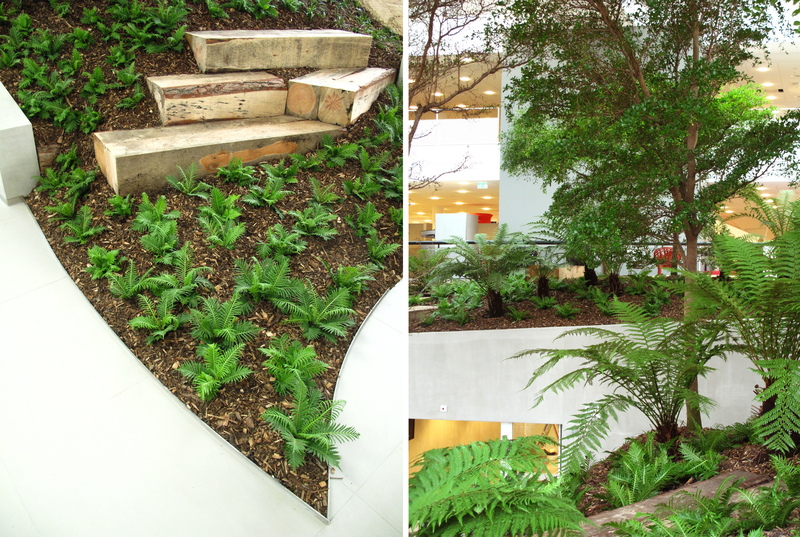 An inside garden covering more than 750 square meters fills the atrium with a undulating landscape, reaching from the ground floor to the second floor. It is a natural biotope, with grassy hills and valleys covered with different kinds of ferns.